Retested it with iMac 2011 or Macbook Pro Mid 2012. - 500GB HDD 2.5" with Mac OS High Sierra 10.13. - Pre-installed with Mac OS High Sierra 10.13. -Tested, pulling out from education laptop,lightly used, great condition, low working hours. Apple Macbook Pro 512GB PCI SSD. Fits Macbook pros from 2013-2015. Apple 3TB AirPort Time Capsule (5th Generation). Condition is New. Shipped with USPS Priority Mail. Hello. this is a 100% GENUINE NEW Apple USB SuperDrive MD564LL/A - A1379. WHAT YOU SEE IS WHAT YOU GET. Apple SuperDrive 8x External USB Double-Layer DVD±RW/CD-RW Drive. The built-in USB cable ensures simple connectivity. Apple 620-3084 Xserve Raid Caddy Tray IDE/ATA RAID Hard Drive 400 GB. Shipped with USPS Priority Mail. The hard drive connector only plugs into about 3/4" of the pins so don't expect your connector to plug in all the holes. U2 Generation. 4th Generation. 3rd Generation. 4th Generation model numbers include: A1059, M9282LL/A, M9268LL/A, EMC 1995. 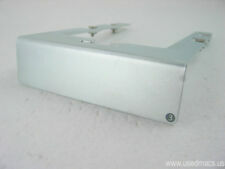 (Install your 2.5" SSD drive in a standard drive sled! The Mac Pro SSD/HHD Adapter is made from PLA premium material customized for a straight forward solution for all owners of MacPro towers. This is the BEST solution to mount a 2.5" HDD or SSD drive using your original tray ). Apple Super Drive Used. Condition is Used. Shipped with USPS First Class Package. Apple 1TB 3.5 7200rpm SATA Hard Drive for iMac /Mac Pro (WD10EZES) Black . Condition is used in perfect working condition. Works on iMacs and any computer/device with SATA interface. No OS included. Photo of actual profuct. 100% working! Unit has been wiped clean and is ready for user setup. Will arrive Unit & Power Cord (not pictured). New ListingApple AirPort Time Capsule 2TB Backup Model A1470 Wireless Router. Open box, never used. Excellent condition. Includes power cord and set up instructions. Create an ultrafast 802.11 ac dual-band Wi-Fi network with greater performance and extended range for devices. 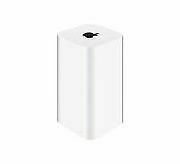 5 out of 5 stars - Apple AirPort Time Capsule 2TB Backup Model A1470 Wireless Router. 21 product ratings21 product ratings - Apple AirPort Time Capsule 2TB Backup Model A1470 Wireless Router. Blazingly fast - much faster than regular Mac SSD's! What you'll get is a Mac compatible SSD including This product only supports 2013, 2014, 2015, 2016, 2017 Apple MacBook Air, MacBook Pro, Mac Pro. Trending at $166.97eBay determines this price through a machine learned model of the product's sale prices within the last 90 days. Condition is Used. I won't let you down! Apple Time Capsule 2TB A1409 MD032LL/A 802.11N Wi-Fi Hard Drive Router. Mid 2011 series manufactured in 2012. 7200 RPM. Condition is Used. Shipped with USPS Priority Mail. Fully functional, wiped clean, comes with original box and cable. Very good condition. Compatible with any Apple MacBook Pro A1286 2009 2010 2011 2012 MC118LL/A MB985LL/A MB986LL/A MC371LL/A MC372LL/A MC373LL/A MC721LL/A MC723LL/A MD318LL/A MD322LL/A MD103LL/A MD104LL/A. Pre-Owned Apple Time Capsule - 2TB HD - A1409 802.11N Wi-Fi Hard Drive 4th Gen. Works like a charm! In great shape. Used it on PC using AirPort Software from Apple. Mac Users would love such huge capacity for backup of All their Apple Devices. Used for few months but got rid of the box. Shipped with USPS Priority Mail. Perfectly working condition Apple AirPort Extreme Time Capsule A1470 2TB. Condition is Used. Shipped with USPS Priority Mail. If you are looking for these you know what you’ve found. Easy set up. Apple Time Capsule 1TB WiFi Router and Backup (No Reserve). Used. It's used; but it works! Purchased new, non-smoking, no-pet environment. Get it cheap! Apple AirPort Time Capsule 3TB (5th Generation). Condition is Used. Shipped with USPS Priority Mail. Apple AirPort Time Capsule 2TB, 5th Generation Model A1470. Brand New. Shipped with USPS Priority Mail. Box has been opened, everything included and power cables and Time Capsule still in manufacture wrapping. No OS installed, but can do with notice. Supported Devices: This USB Flash Drive Supports iPhone XS/XS Max, iPhone X/XR, iPhone 8/8 Plus, iPhone 7/7 Plus, iPhone 6s/6s Plus, iPhone 6/6Plus, iPhone 5/5s, iPhone 5c, iPhone SE, iPad touch(6th generation) iPad 4, iPad mini, iPad Air, iPad Pro, Mac OS 9.X or Later, Linux 2.4.x, iOS 8 or Later, Windows XP, Vista, Win 7, Win 10 and more Android devices(Mirco USB Port). 100% OEM Apple Samsung 512GB SSD - 2015 SSUBX Model . This is theFASTEST MODEL OEM Apple 512GB SSD available and is made by Samsung (the best and fastest OEM manufacturer of these drives). This is the 2015 version that has 4 lane PCIe, which has read & write speeds that are nearly 2x faster than the 2013/2014 version. Apple A1470 Time Capsule 2TB "READ"
The LED light does not work but the device is fully functional. These are the 1 TB hard drive modules from an Apple Xserve, Early 2008 “Eight Core”. These only fit Xserve and work with several models. The trays are marked 607-1667. IF ANY UNIT IS NOT AS DESCRIBED, WE WILL EITHER REPLACE IT WITH ONE EQUIVALENT OR BETTER. This drive is in excellent condition and working perfectly. The drive has a fresh install of MacOS 10.12 Sierra. This drive is for use with Mid 2010 to Late 2014 model year Mac Mini computers. The drive was made by Western Digital and the specific model number is WD1600BJKT. Seagate ST9500325ASG 9KAG34-043 FW:0009APM1 Apple 655-1577C 500gb Sata HDD 2.5"